Wavelength calibration accuracy: (1-6)10-3 nm. F. J. Capalbo, Y. Bénilan, N. Fray, M. Schwell, N. Champion, Et. Es-sebbar, T.T. Koskinen, I. Lehocki, R.V. 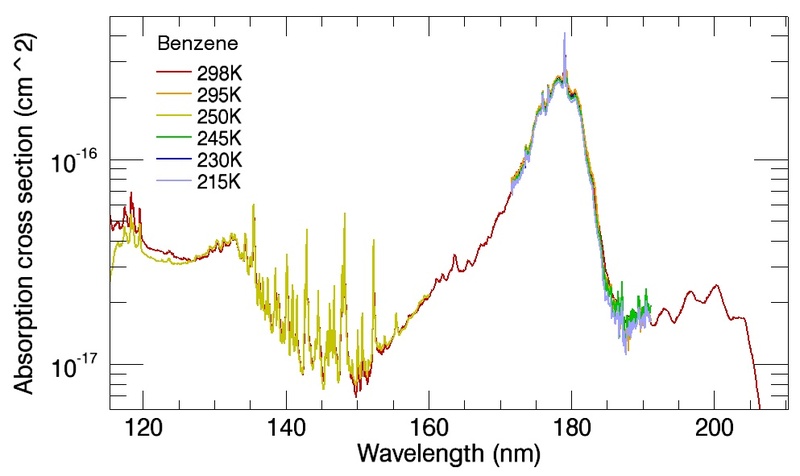 Yelle, New benzene absorption cross sections in the VUV, relevance for Titans upper atmosphere, Icarus, 265, February 2016, 95-109. doi:10.1016/j.icarus.2015.10.006.